The roots of Parkour go back over 100 years. It begins with Hebertism. Hebertism was created about 100 years ago by George Hebert. Iaido is the contemporary Japanese art of drawing the long sword. Iaido contrasts with kenjutsu (combative swordsmanship), techniques done with swords already drawn, and kendo, the Japanese sport of fencing. Basic iaido kata combines drawing the sword with either a defensive block or cut, usually followed by another cut, then chiburi (moving the blade in such as way as to remove blood and tissue) and noto (returning the blade to the scabbard). 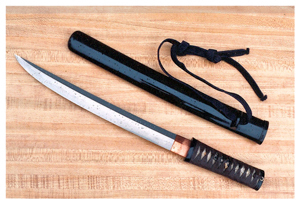 While kenjutsu and sword-drawing techniques (batto-ho) were originally taught together, they are now usually, but not always, taught as separate art forms. Iaido, as the sword-drawing forms became known in the 1930's, is now used not only to teach sword techniques, but as a form of mental and physical discipline, emphasizing correct technique and form, meditation and character development. Fencing is the sport of armed combat involving cutting, stabbing, or slapping bludgeoning weapons directly manipulated by hand, rather than shot, thrown or positioned, of European origin. 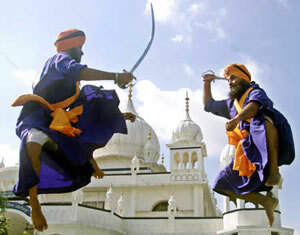 Examples include swords, knives, pikes, bayonets, batons, clubs, and similar weapons. In contemporary common usage, fencing tends to refer specifically to European schools of swordsmanship and to the modern Olympic sport that has evolved out of them. It has Spanish origins. Te Mau Taiaha is the generic name for the martial art of using the taiaha weapon in hand to hand combat. Both the weapon and the art are indiginous to the Maori people of New Zealand. For some eight hundred years prior to contact with European explorers during the late 1700s, the Maori had occupied many tribal territories throughout the islands they called Aotearoa, or “the Land of the Long White Cloud”. Wushu, also known as modern wushu or contemporary wushu, is both an exhibition and a full-contact sport derived from traditional Chinese martial arts. It was created in the People's Republic of China after 1949, in an attempt to nationalize the practice of traditional Chinese martial arts. Most of the modern competition forms were formed from their parent arts by a government-appointed committee.